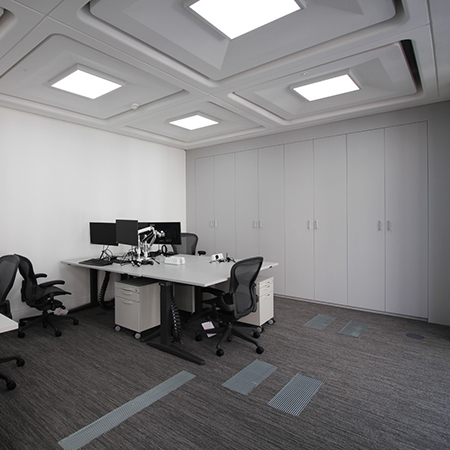 AET Flexible Space have just completed a Cat-B Fit-out of the first floor at 11-12 Hanover Street for Canadian property investor, Quadreal. 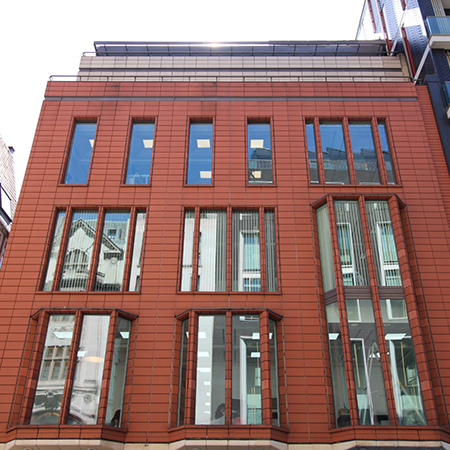 The system installed at Hanover Street is the CAM-C system with underfloor supply air and underfloor return air. Each floor is effectively one zone, with a single CAM downflow unit supplying conditioned air to the underfloor plenum. 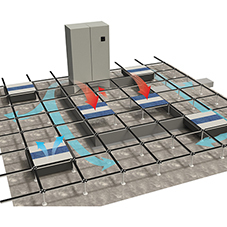 This conditioned air is supplied into the workspace via fan terminal units, known as Fantiles which are recessed into the floor plenum. 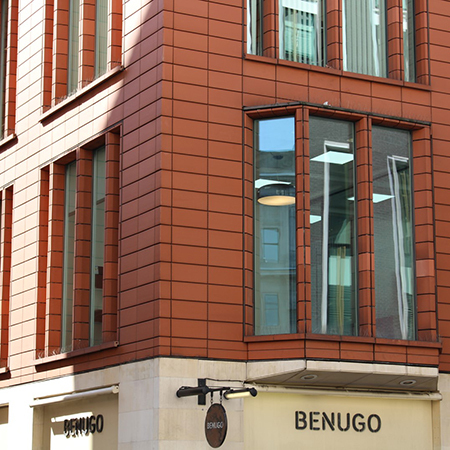 Approximately 80 standard size TU4 Fantiles are located over the building’s five floors and a fully stringered Nesite raised access flooring system supplied by AET is installed throughout. 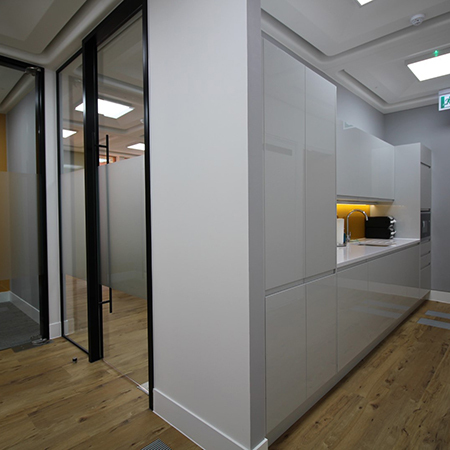 AET engineers worked with fit-out contractor Think-inside on the recent Cat-B works. 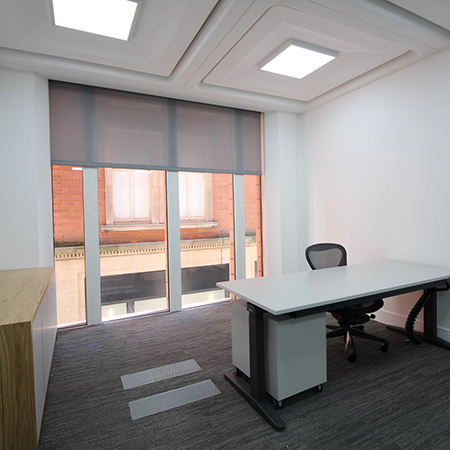 The space had been returned to Cat-A status after the previous tenancy ended, leaving a blank canvas for new first floor occupier Quadreal. An initial validation survey of the UfAC system on the first floor identified repairs required to the underfloor baffle and a number of damaged return air grilles to be replaced. 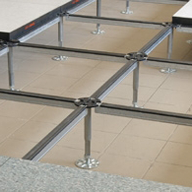 The underfloor baffle being essential to maintain properly as it divides the underfloor plenum into supply and return air paths. As well as the essential repairs, three additional Fantiles were supplied to cater for occupational increase and Quadreal opted to install sound attenuator boxes beneath all Fantiles in order to minimise noise transfer between cellular offices and grant additional privacy. Five Flextouch wall controllers were installed in the boardroom and offices permitting users easy control of temperature and fan speed as well as CO2 monitoring.